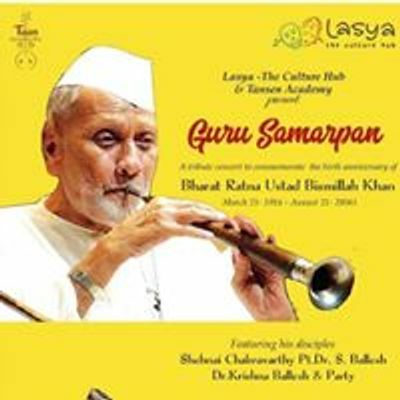 Tansen Academy Proudly Present's "#GURU_SAMARPAN_2019"
We create and organize concerts for you and mainly for your presence. 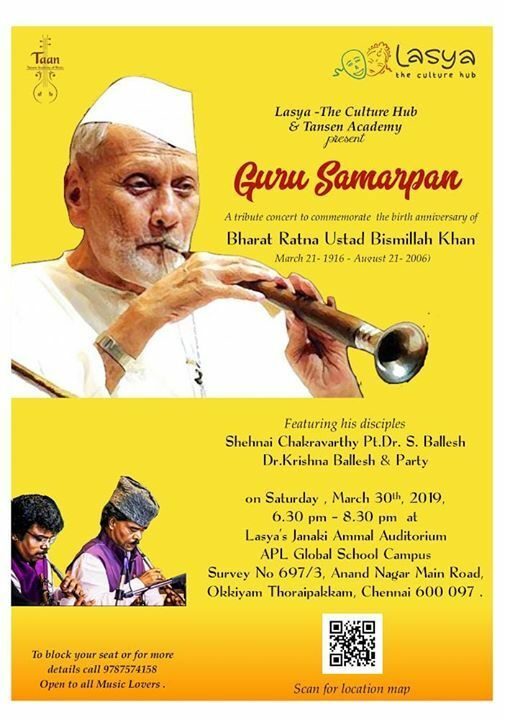 Pl block your day & time on March 30th for the #1st_Edition of our “ #GURU_SAMARPAN - 2019, Music Festival ” a #Shehnai_Concert by our BadeGuruji Shehnai Chakravarthy #Pandit. Dr. S. #Ballesh & Party at Lasya Hall - The Culture Hub at #OMR. 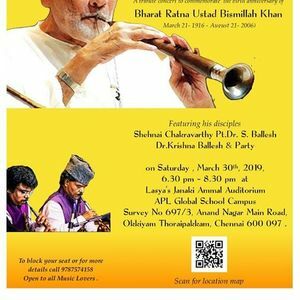 The concert is our Tribute to our *Gurudev #Bharat_Ratna #Ustad_Bismillah_Khan Saheb and will be in commemoration of his #103rd #Birth_Anniversary* which falls on March - 21. A purely Divine Musical evening it will begin at 6.30pm and end at 8.30pm. This Festival is a new beginning & in future we will make more stronger for you..